Written by goenKendama on April 10, 2015 . Sometimes we all need a little help so after exhaustive materials research and countless hours field testing we introduce to the kendama community . . . Kendama Bumpers™. These training aids will help if you’re having trouble with tricks like Bird, Nightingale, Over the Valley, Cliff Top, Slip Grip Special, etc. You’ve been going at the trick, Bird, for 500+ repetitions and you’re about to throw the kendama out the window. These little wonders will help keep you sane. The secret* chemical makeup and elastic properties allow them to fit, almost universally, across all sizes/types of kendama and the process is completely reversible. 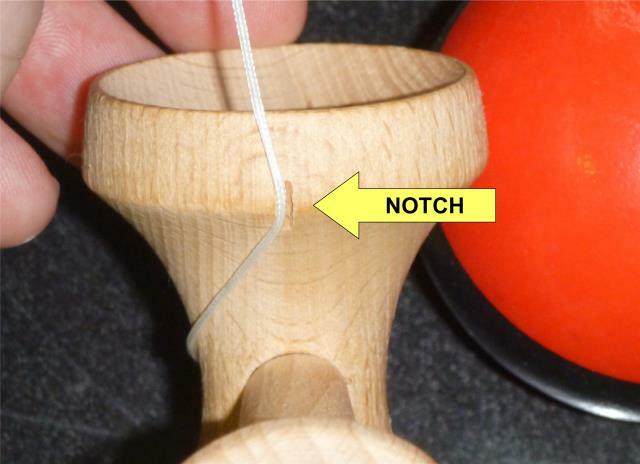 Once you have mastered the trick while using Kendama Bumpers™ simply remove to practice the trick on a “naked” kendama. That’s the ad copy, here’s the backstory and how it works. One of the things we pride ourselves on here at goenKendama is teaching anyone standing in close proximity to a kendama for more than a minute. We really enjoy getting people into the sport. We are always on the lookout for any small trick or tip to make it easier to play or learn a trick. Most of us have had a point during the learning process that was kind of make or break. It’s where the lightbulb either turns on or we really need to put the kendama down for a while and walk away to give ourselves a rest. What if you could give yourself an edge when trying new tricks? 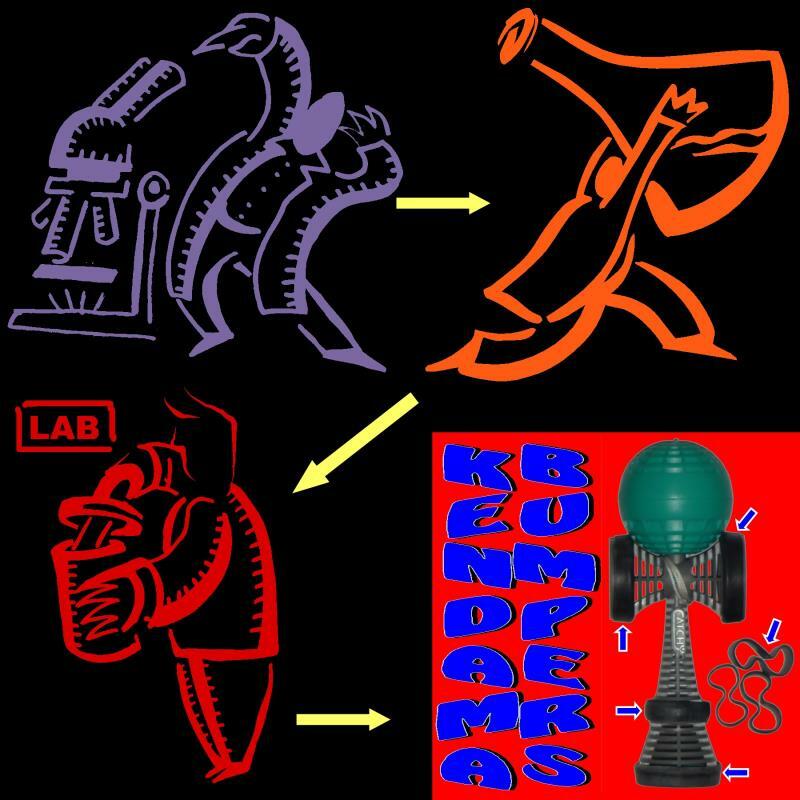 The Kendama Bumper™ is one of the things we discovered while practicing ridge balancing (Ozara no fuchi, suberidome etc.) tricks like Bird (uguisu) and Cliff Top (chuuzara gokui). The Bumpers mitigate some of the difficult parts of these tricks, primarily slipping off after landing. You still have to launch and land properly but the trick tends not to slip off as easily. Once you have the proper technique you can remove the Bumpers and try it with confidence knowing you have already landed the trick successfully. Some of you out there might be thinking this is a “cheat” of some kind. It really isn’t. A lot of us had training wheels on our bicycles when we were first learning to ride. This is the same principle; learn to ride remove the training wheels, learn the trick remove the Bumpers (put them back on when teaching others). Super gluing the tip before play to keep it from deforming so quickly. Tying a double knot just above the tama or putting a piece of paper inside the tama hole (see 3a for more info) to keep the bead and string from jumping out during play. Putting gaffer’s tape over the knot at the saradō on Tribute and Catchy Street/Air styled kendama. The gaffer’s tape doesn’t get sticky like duct tape and keeps the string from flopping about. 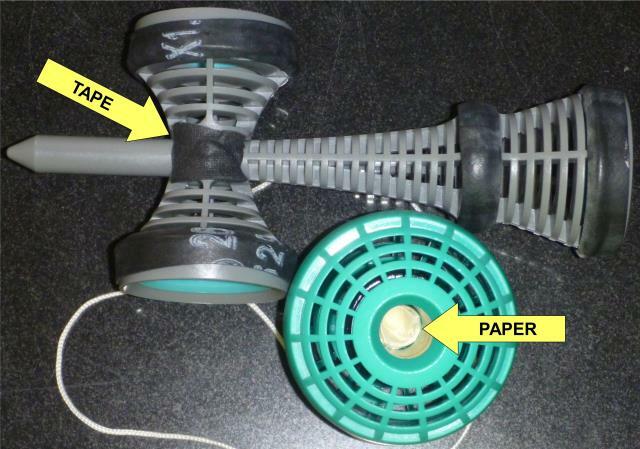 3a) Some people like putting paper or foil in the tama hole rather than using the knot method above (#2). An advantage of using the knot vs. stuffing paper or aluminum foil in the tama hole is that it keeps the string from getting twisted as easily. The paper or foil will bind the bead and won’t allow the string/bead to turn freely. A lot of people don’t do either and just let the bead/string do what it wants. It’s all personal choice. Using SlipFix Bands (formerly Goody Bands) to keep the saradō from slipping or to raise it up if it’s too low on the ken. 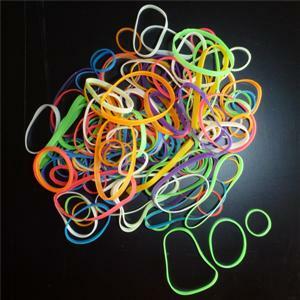 They don’t deteriorate like regular rubber bands, they’re easily removed, and they compress a bit to keep pressure on the two pieces keeping them from moving easily. 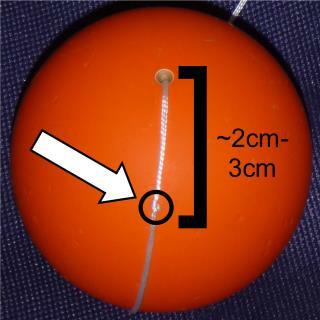 Cutting a notch in the big cup to hold the string for Lunar training. This is an unusual one but we’ve had success teaching lunars with this and a specially coated tama (not a stock coating). It helps with concentrating on only one part of the trick, the landing. 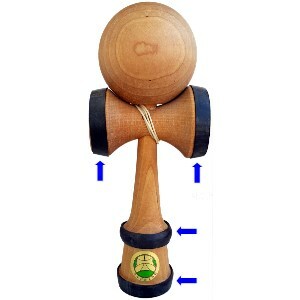 One of the latest trends in the overseas kendama arena is replacing the plastic bead in the tama with a ball bearing. We’ve brought the same idea to the Philippines with our Lightning Bead. It’s great for keeping the tangles out of your string or helping teach someone to Spike by spinning the tama. To see just how long these things can let you spin click here. Eventually many people end up with a number of kendama and often don’t have a good way to store or display them. 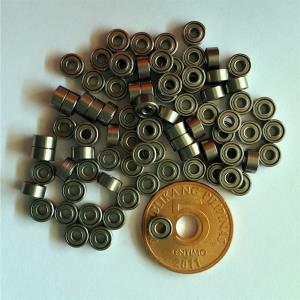 There are some great products out there but if you are a D.I.Y. kind of person we’ve found the “Kendama Noose” to be very helpful and cost effective. A stiffer rope/cord works well since it holds its shape making it easier to insert the kendama. They are also scaleable so you can make it hold one kendama to 10+. Picture hangers work well to support the weight even in drywall. 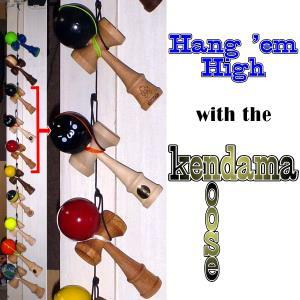 There are also adhesive hook versions that will hold several kendama without making a hole in the wall. So there you have it. We’ve introduced our newest training innovation and covered a number of our most used tweaks to help you get the most out of your kendama. Now go out there and try that impossible trick you’ve been wanting to land.